It’s a car! It’s a chainsaw! Wait… IT’S A BIRD! Imagine you’re walking through the forest and you suddenly hear the sound of a chainsaw nearby; the thought of a tree falling on you is enough to make you scramble for your life. But if you’re in an Australian forest, hold your thoughts and calm down for a bit; you will be pleased to know that the sound of the chainsaw might just be coming from a bird instead – the Superb Lyrebird. Scientifically known as the Menura novaehollandiae, the Superb Lyrebird (above) is a songbird whose specialty is to mimic any sounds that it hears. This is one of the two species of Lyrebirds which exist, with the other being the Albert’s Lyrebird. In a YouTube video from BBC Wildlife, a male Superb Lyrebird can be heard performing amazing mimicries of a Kookaburra, car alarm, chainsaw and camera shutter sounds – mimicries so convincing that you would think they’re the real deal. (Check the video out here!) This vocal mimicry is usually prominent during male displays where male Superb Lyrebirds stand on a “platform” to perform a courtship song which includes its own song as well as imitations of other species and surrounding environment to attract females. 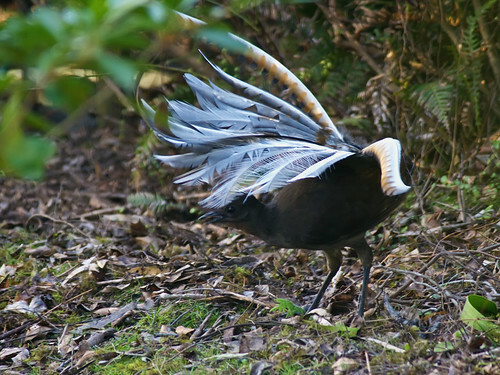 While doing so, the male Superb Lyrebird will spread out its tail (above), showing off a stunning display of its feathers. The Superb Lyrebird’s syrinx (vocal chords) is “the most complex of all songbirds” (Birds.com, 2007) and this gives the bird its astonishing ability to reproduce sounds accurately. The accuracy of vocal mimicry in Superb Lyrebirds is also an “indicator of male age” (Zann & Dunstann, 2008). 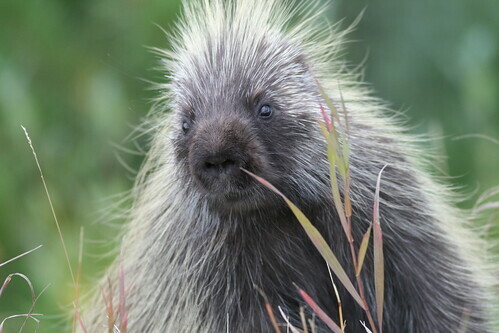 Although vocal mimicry plays a clear role in the selection of mates, not many studies have been done regarding the relationship between the complexity of vocal mimicry and the level of mating success (Kelly et al., 2008). “Amazing! Bird sounds from the lyre bird – David Attenborough – BBC wildlife” by BBC. BBCWorldwide YouTube Channel, 12 February 2007. URL: http://www.youtube.com/watch?v=VjE0Kdfos4Y (accessed on 27 Mar 2010). Kelly, L. A., Coe, R. L., Madden, J. R., Healy, S. D. 2008. Vocal mimicry in songbirds. Animal Behaviour, 76: 521-528. “The Marvelous Mimicry of the Lyrebird,” by Editor. Birds.com, 10 September 2007. URL: http://www.birds.com/blog/the-marvelous-mimicry-of-the-lyrebird (accessed on 26 Mar 2010). Zann, R. & Dunstan, E. 2008. Mimetic song in superb lyrebirds: species mimicked and mimetic accuracy in different populations and age classes. 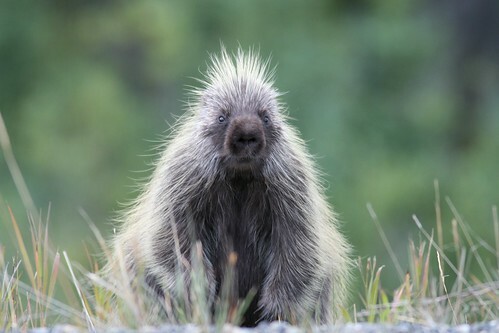 Animal Behaviour, 76: 1043-1054. Do you find yourself losing your way even after carefully following the given directions? Or, do you often provide directions to others? Find communicating words too troublesome? Maybe next time you can try the honey bee’s waggle dance! Apis mellifera, a species of honey bee are most often located as a colony in hives that are constructed and stored with honey. They are easily one of the most hardworking animal considering to fill half a kilo of the combs with honey, it requires nectar from 4 million flowers! 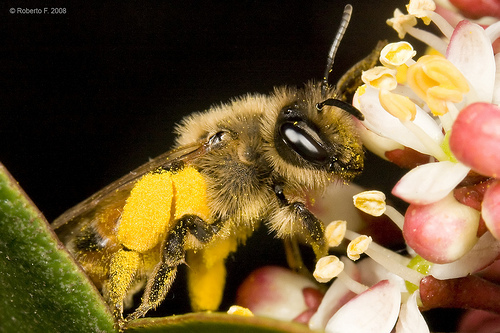 With finding nectar as their main concern, think about it, to get to the best nectar, it would be more efficient if the bees actually share and spread the location of the “good stuff”, right? Well, being good team players, that is exactly what they do, and they do it in their own way- the waggle dance. Despite the inconsistency in the duration of the dance, according to Kirchner and Grasser(1997), the “dances contain correlates of distance and direction to the food source”(p. 169). What is interesting is that the communication of direction is made according to the position of the sun. However, the sun is constantly moving but more often than not, research has shown that the following bees are able to accurately find the food source. Hence it seems that the dancing bee has made prior changes to the direction before conveying! However, there are contradictory arguments that disregard the assertion that the waggle dance serves as the sole communication tool in directing the bees to the food source. Other factors such as “olfactory cues” (Kirchner and Grasser, 1997, 170) and even sounds are seen as important. 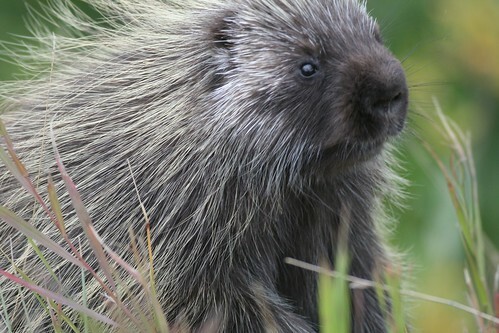 It is made more complicated by the need to consider the effect of habitats. However, despite these interlocking of factors, the waggle dance is still seen as important in at least communicating the presence of food nearby and also to increase the intensity of food hunting. So next time you see a bee hive, maybe you could try observing and you never know, it might just lead you to good source of nectar! Kirchner, Wolfgang H. & Grasser, Andreas, 1998. The Significance of Odor Cues and Dance Language Information for the Food Search Behavior of Honeybees (Hymenoptera: Apidae). Journal of Insect Behavior, 11(2): 169- 178.